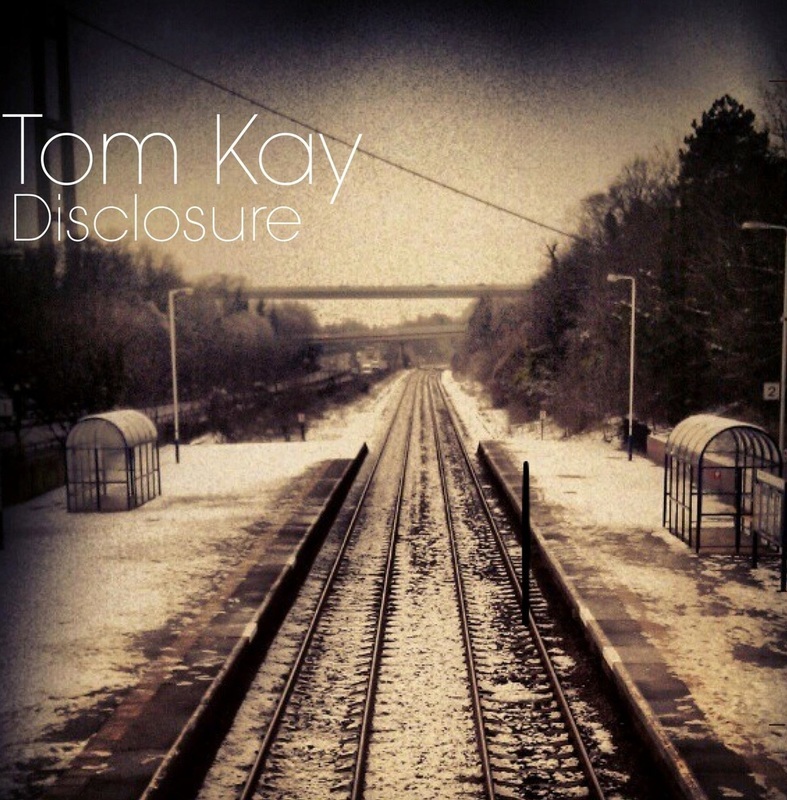 ​Tom Kay is a singer songwriter ​​from Hull but now based in Manchester. EP - A Day In This Life' (2010) / Albums - 'Disclosure' (2013), 'Here We Divide' (2013) and 'Hearts, Lungs & Apologies' (2014). 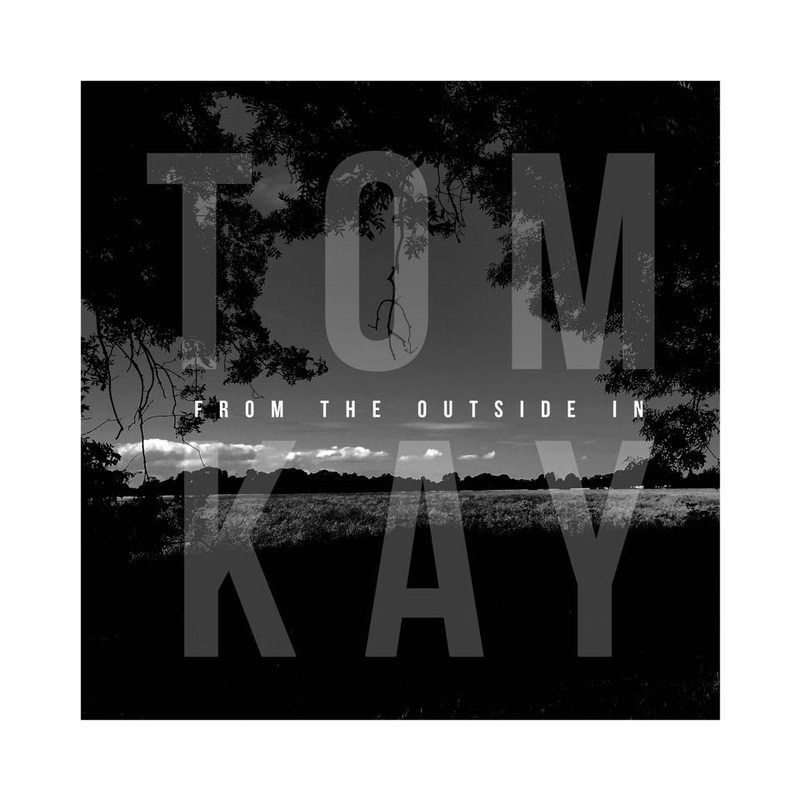 A new album 'From The Outside In' is due for release on 4th March 2016. Tom has also performed and recorded with various bands and artists such as Tom Kay Trio, The Mighty and the Moon, Dogwood Flowers, Mike Rogers, Birdie Jane and more. It’s hard for me to remember a time before I had an interest in music really. I think I fell in love with the guitar before anything else. When I was really young, maybe four or five, the guitar got me excited. Both my Dad and my Uncle play guitar, so there was always a few of them laying around the house. I remember getting a short scale Stratocaster style guitar for Christmas when I was about three and as I got to the age of around four or five, My Dad showed me a few basic chords and that was the birth of it all for me really. And then the love of music just came hand in hand with playing the guitar. I’m sure I heard a lot of music from an early age but I remember borrowing my Uncle’s Uriah Heep albums on cassette. I used to sit and listen to them and read the insert and just stare at the artwork. So Uriah Heep are one of the earliest bands I can remember listening to. In fact my Mum told me not so long ago that she went to see Uriah Heep with my Dad when she was pregnant with me. So maybe it stemmed from there! Just the creative aspect of it, I’ve always enjoyed that the most. Everything from coming up with a guitar solo on the spot or writing a song. Also I think just realising that if I worked hard enough I could make a living from doing something that I loved. It was a real eye opener when I was younger and I started playing in little pubs and bars and getting paid for it. But the bigger eye opener was getting a part time job working at a supermarket and absolutely hating it. That made me dedicate nearly every hour of every day into my career as a musician and after about three years at the supermarket, I threw the towel in and moved to Manchester to study for my Degree in Music and to get more opportunities to play different venues and play with different musicians. Guitar was the first instrument and although I can get away with playing other instruments, the guitar has always been my first love really. My first live performance was at The Springhead Pub in Anlaby. It was through my guitar tutor at the time. I was eight years old and he used to have a showcase gig every month and his students would all get up and take it in turns to solo with a backing band. It was a great experience to be onstage in a full pub at that age and through that I gradually gained confidence playing in front of people. It’d take way too much time to mention all of them. Ryan Adams is probably my favourite singer/songwriter, I just love everything he’s ever done from Whiskeytown through to his recent solo album. Another favourite band of mine is Counting Crows. Adam Duritz’s lyrics just blow me away, the guy is a songwriting genius. But I’m influenced by a lot of bands and artists in various genres. I love everything from the most soft delicate acoustic stuff to some really heavy stuff and everywhere in between really. This is always the hardest question. I can only really sum up my own music as a solo artist as I do often change my sound to fit whatever project it is I’m working on. But as a solo artist I’d say my sound is acoustic based, or it is at the moment anyway. A lot of stuff I do, especially on the new album is heavily influenced by John Martyn. There’s a lot of open tunings and spacey sounds. I try to be honest with my songwriting and evolve with each album that I do, the next album I do could be completely different but hopefully there’s always a little bit of me in there. I’d dabbled in writing songs from the age of twelve but the first song I wrote properly was a track called 'All These People' which later became ‘Barflies' when I re-recorded it for my album 'Disclosure’. It was basically about being in a pub underage, playing a gig and being sober and observing everybody. I sometimes wonder how I was allowed to play in some of these pubs and bars. I was only about fourteen and I’d have people coming up to me buying my CD’s and wanting to buy me a pint. Not that I was complaining! I hate to give a bit of a cliche answer but usually life experiences, things that happen to me, things that happen to others. Sometimes I’ll come up with something on the guitar and that’ll spark me to improvise some lyrics over the top and that’ll often develop into a structure and a full song will come out of that. Since 2010 you have released one EP and four albums as a solo artist. How has the writing and recording process developed since your first release? To be honest it really hasn’t changed that much. The songs on the new album were written in the same way as the songs on my very first release were. The recording process is a little bit different nowadays in the sense that the songs are a lot more developed before I head into the studio. For the new album I had lots of ideas for production and I went back to working with Dan Foster who produced my first E.P ‘A Day In This Life’ and my first album ‘Disclosure’. Dan is a great producer and friend and we just work really well together. He’s got a real talent not only for getting some brilliant tones but also getting the best out of whoever he is working with. What is the story, background and inspiration for the new collection of songs on the ‘From The Outside In’ album? There isn't really a theme for this album. The songs have a lot of different meanings to me but people can interpret them however they like. I think this album is a much maturer album than my previous efforts but then again it should be really. I think my last album ‘Hearts. 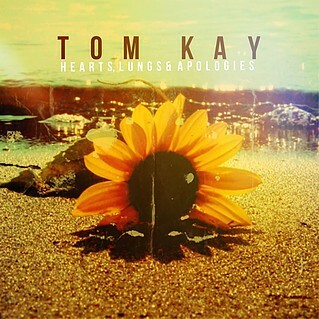 Lungs & Apologies’ had a few fairly strong songs on there but I wasn’t happy with the overall production of it really. 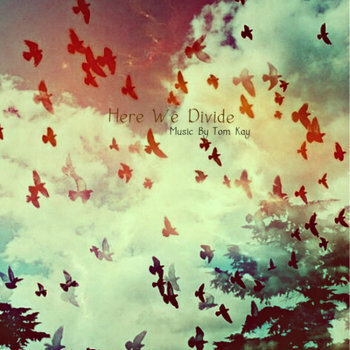 The album before that 'Here We Divide’ was kind of just an experiment and although ‘Disclosure’ was only released in 2013, the songs on it were written when I was just fifteen. So eight years later and here we are with ‘From The Outside In’. I kind of feel I have found my sound as an artist on this album, I think I touched upon on it with previous albums but I think this new album is where it has all come together. Eight years is quite a chunk of your life, So the things I’ve experienced in these past 8 years have shaped the background for these songs really. 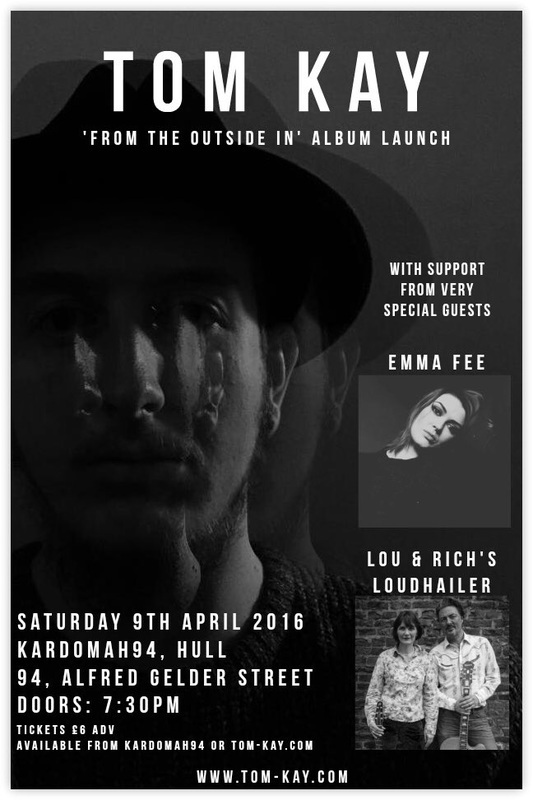 What have you got planned for the launch of your new album ‘From The Outside In’? There’s been a few, I’ve forgotten many over the years. It’s all a bit of a blur and some of them are memorable for all the wrong reasons. Humber Street Sesh 2014 in Hull stands out among the festivals. It was with The Mighty and the Moon, we were setting our gear up with our backs to the audience and we turned around and there was just this huge sea of people that went on as far as we could see. We also had a great gig in Leeds recently when we played with The Dunwells at Belgrave Music Hall. It was just one of those nights where it was really happening and the sound was brilliant, it was a sold out show too which was just the cherry on the cake. I think one of the most memorable things for me was the first time I heard people in the crowd singing along to our songs. That never fails to amaze me. Kardomah94 in Hull without a doubt. I love the place. It’s just got a great atmosphere and vibe that I think a lot of venues seem to be missing. It’s probably not surprising that it’s one of my favourites as The Mighty And The Moon live album was recorded there, our last show of 2015 was there and my album launch will be taking place there in April. It seems to be a firm favourite with audiences too. I’ve heard a lot of people tell me how much they love it. It really annoys the hell out of me. I really can’t understand it, especially at ticketed shows. I would never dream of paying to see an artist to talk all the way through it. I think alcohol often plays a big part as the talking tends to get louder and louder throughout the night as people drink even more. I think it’s difficult to deal with it because as soon as you start telling people to be quiet and listen, people get the impression you’ve got an ego and you’re a bit of a diva. That’s often not the case. I’ve had people talk at gigs so much that it’s made it near enough impossible to play because I just couldn’t hear myself. I think you’ve just got to grit your teeth and get through it somehow. Although I would be inclined to single out people if it got particularly bad. I think if more artists started singling these loud talkers out and just politely telling them to take it down a notch, I think people would maybe start to realise just how much they are ruining the gig for the artist and the rest of the audience. As well as being a solo artist you are in several bands and also work as a session musician. Going forward what will be the main focus and how do you see your music career developing? I think just the desire to be better at your craft is the main focus for a lot of musicians. It certainly is for me. I’m always looking to write better songs and improve my abilities as a guitarist and a singer. I certainly want to carry on as a solo artist and make more records on my own but I’m always open to working with other musicians and bands. I really admire artists like Johnny Marr who has worked with so many artists and bands such as The Smiths, The The, Electronic and The Cribs, doing work on movie soundtracks, as well as recording and touring as a solo artist. He’s certainly an inspiration in the career department. Nowadays your online presence is everything. Social media is an easy and convenient way for artists to connect with their audience. Unfortunately it tends to be that easy and convenient that people can often overlook it. I think people often have access to too much information nowadays and it can take away the interesting aspects of an artist. I think you’ve got to find a balance with it of what to share and what not to share. I think social media does bring artists and fans that little bit closer though. Yes…and no. It’s definitely made it harder for artists because there are so many people doing it now because they can. It’s easy, any man and his dog can release music independently now and there isn’t a filter. But at the same time because it’s so easy, it means that artists like myself can build an audience and get our music heard by people all over the world. I’m always looking at the location of people that have listened to my music and when I see that there’s somebody on the other side of the world listening to something I’ve written and recorded, that alone makes me want to carry on and inspires me to want to push things further. I think it’s great, you can listen to music wherever you want and whenever you want but you don’t have to have stacks of physical CD’s or records hanging around and taking up space in your house. The only thing that I’m not fond of with streaming services like Spotify is the amount of money they pay artists. It’s just not enough really. I mean we are talking pennies per play if you’re lucky. Not great when some bigger acts have invested thousands in producing a quality record. I’m old school. Vinyl all the way. I love the way it looks, the way it feels, even the way it smells. You can’t beat a fusty old record. For me vinyl has so much more character. I download stuff too but only so I can carry albums around with me. My iTunes library is pretty ridiculous. I think I’ve got over 120GB worth of music. The first albums I bought were by Uriah Heep and Ozzy Osbourne. The most recent albums I’ve bought are Dream Dictionary by a great guitarist called Jim Campilongo and a few albums that I had as a download but I’ve bought the vinyl now too. Those were One World by John Martyn and 1989 by Ryan Adams and my girlfriend bought me the latest Uncle Acid and the Deadbeats album for Christmas which is a brilliant record. I managed to catch Uncle Acid at Gorilla in Manchester in November. They were amazing as always, just a great live band. It was my third time seeing them and they never fail to impress. Performing as a product clinician at Sonisphere Festival at Knebworth, Performing on 8 out of 10 cats does countdown and the main one is just being able to release music and perform and have people who like and appreciate what I do and buy the albums and come to the gigs that is definitely the highlight of everything for me. I do what I do firstly for myself but when other people enjoy what I do, it’s a great feeling. Well, release the album is the first step, followed by lots of solo gigs and gigs with The Mighty And The Moon. I’d like to play as many festivals as I can this year and play places I’ve never played before. I’d also love to work with more artists in the studio, I’m always up for doing something new. Maybe I’ll start work on the next solo album. We’ll see.